1) What’s your favourite horse you’ve ridden? 2) What horse would you like to have in your stables? 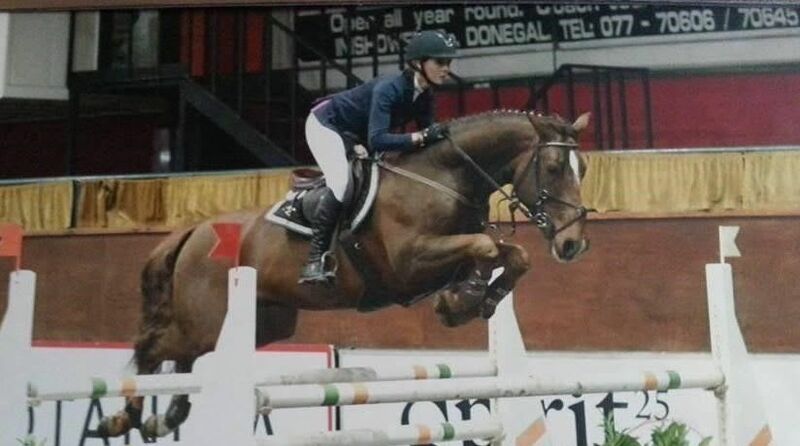 3) If you weren’t a showjumper what would you like to be? Would love to have gone into the racing industry. I ride out with Waterford trainer Robert Widger when I can & absolutely love it. Best show, internationally it would have to be Spruce Meadows. And nationally we’re very lucky to have some great facilities indoor and outdoor. 5) Do you prefer the Greatest Showman or Les Mis soundtrack? 6) What’s the one thing in your tack room you can’t be without? 7) Have you any routines or habits before you go in the ring? 8) Do you have any other hobbies or sport interests? 9) Name one competition that you really want to win? The Breeders Classic in Barnadown would be a great class to win or even be placed in. It has a massive prize fund & show cases some of the best 5/6yr olds in the country over 4 days on a topclass grass ring. We’re very lucky to have an outdoor show of this standard in the country. 10) What’s your favourite Bluegrass Horse Feed Product? My mother has always fed Bluegrass Horse Feeds, so naturally I was going to follow this on. The horses look fantastic on their feeds and we’re really seeing some great results from their new Turmash, it keeps the condition on without them getting hot. It’s a great feed for all types of horses. 11) When did you start riding? 13) What’s your proudest achievement so far? 14) What’s your favourite training exercise? 15) One piece of advice you’d give to young riders? Find out more on the Bluegrass Turmash recommended by Barbara "It keeps condition without them getting hot"
The low starch, high fibre conditioning mash containing the natural anti-inflammatory and anti-oxidant, Turmeric.